So, first off, I went and saw Harry Potter and the Chamber of Secrets last night... oh, my God! It was fabulous!!! Much, much better than the first film. It hung together really well, it flowed perfectly, there was just the right timing between action and humor and drama. The visual effects were amazing, but never gratuitous. It had oomph and espièglerie and Darstellungskunst. The children are learning to act, and the great actors are learning to tone it down to their costars. Most importantly, it lacked the idiotic Chris "Home Alone" Columbus slapstick touches that plagued Harry Potter and the Sorcerer's Stone... in fact, the directing shows a depth of characterization and a delicacy of touch that was entirely unexpected. How a child is supposed to watch such a film, however, is beyond me. There was this one scene with spiders that had both Caroline and I crumpled into the backs of our seats while clutching each-other's arms and squealing like defective smoke detectors... when I was five or six, such a scene would have sent me straight into hysterics. There was even a serpentine door that was utterly terrifying... and when the mechanical props are scarier than the creatures in other movies, I wouldn't recommend it for little ones. Still, it was a totally worthwhile film. I don't know if they're into production on the third film yet, but I wonder what they're going to do about losing a key actor? With Richard Harris gone to his final reward, whoever will be able to carry off the role of "Dumbledore"? And if they don't hurry it along, the young stars aren't going to be so young anymore. Daniel Radcliffe ("Harry Potter") looks like he's about to turn into a teen hearthrob at any moment. Such a cutie! But it will be hard to believe him as a thirteen-year-old when he starts growing a beard. And speaking of films, I also enjoyed Far From Heaven on Wednesday evening. Julianne Moore was utterly amazing, with her steady voice and stony yet strangely emotive face. The production values were terribly interesting as well... there was this degree of artificiality that really underscored the repressions of the time and place that the characters occupied. It was as if someone had made a movie in the 50s, but with the freedom to discuss topics that were verboten in those days... homosexuality, race relations, etc. I recommend it to anyone who likes to see beautiful scenes and tour-de-force acting. Just be prepared for the corniness of the Fifties to jump out at you in unexpected moments, inspiring guilty giggles in the younger audience-members. The drama of my teeth continues. I broke the tooth that I just spent so much money having root-canaled, while stupidly eating Doritos no less, and so I made an emergency appointment for this afternoon; and then today, when I was flossing the egg-salad sandwich remains out of the way in preparation for professional scrutiny, another filling simply popped right out of an upper molar. It had been loose for some time, I guess the movement wore away at the tooth holding it in, and out it came (with a little blob of egg-salad on it). And, according to my dentist, sometime in the last few days I have cracked a filling on an upper bicuspid as well. The broken tooth is not as much a problem as I had feared, since I needed a post-and-crown anyway and the tooth broke in such a way that the only portion that was damaged was the part that would have been scaled off for the crown in the first place. And since the tooth is already root-canaled, it doesn't hurt at all. It just feels weird having this loose bit of tooth in my mouth. With the filling that came out, there doesn't seem to be much in the way of tooth-decay, it appears instead that it just hadn't been installed properly way back when... it will only need a little drilling and a filling. The broken filling will have the same procedure, supposing that there isn't more damage than meets the eye. I discussed my difficulty with pain, my resistance to novocaine, and my terror of dentistry with the good doctor, and he assured me that he would have everything ready for me, from nitrous to Valium to lidocaine, as necessary. What is a problem is that I can't get this done until December 7th, until which time I can't eat anything hard or chewy. Then, on the 7th, which is a Saturday, I have to be there at 8:30 a.m. Oh, and since I don't have dental insurance, it is going to set me back about $1,400 all together (more than I paid for my car, but only half the amount I spent on jewelry this year... which I think puts it in pretty good perspective). I guess everyone is going to be getting hand-made potholders for Christmas. Sometimes I really hate having teeth. But then, I think I'd really dislike not having teeth. Dentures wouldn't be too bad, I guess, since with them I'd have straight white teeth for the first time in my life, but then dentures aren't any less trouble than real teeth, they're simply different trouble. Well, anyway, that's what's going on today. In closing, I would like to share with you the funniest thing I've received in an email for many a moon. I'm not sure how genuine these are, or whence they came, but I laughed so hard I actually cried (and I omit the ones that didn't make me cry). Thanks, Dakota, for passing them along! •He spoke with the wisdom that can only come from experience, like a guy who went blind because he looked at a solar eclipse without one of those boxes with a pinhole in it and now goes around the country speaking at high schools about the dangers of looking at a solar eclipse without one those boxes with a pinhole in it. •She grew on him like she was a colony of E. coli and he was room-temperature Canadian beef. •She had a deep, throaty, genuine laugh, like that sound a dog makes just before it throws up. •Her vocabulary was as bad as, like, whatever. •He was as tall as a six-foot-three-inch tree. •The revelation that his marriage of 30 years had disintegrated because of his wife's infidelity came as a rude shock, like a surcharge at a formerly surcharge-free ATM. •The little boat gently drifted across the pond exactly the way a bowling ball wouldn't. 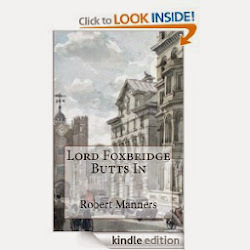 •McBride fell 12 stories, hitting the pavement like a Hefty bag filled with vegetable soup. •From the attic came an unearthly howl. The whole scene had an eerie, surreal quality, like when you're on vacation in another city and Jeopardy comes on at 7:00 p.m. instead of 7:30. •Her hair glistened in the rain like nose hair after a sneeze. •Long separated by cruel fate, the star-crossed lovers raced across the grassy field toward each other like two freight trains, one having left Cleveland at 6:36 p.m. traveling at 55 mph, the other from Topeka at 4:19 p.m. at a speed of 35 mph. •John and Mary had never met. They were like two hummingbirds who had also never met. •Shots rang out, as shots are wont to do. •"Oh, Jason, take me!" she panted, her breasts heaving like a college freshman on $1-a-beer night. •He was as lame as a duck. Not the metaphorical lame duck, either, but a real duck that was actually lame... maybe from stepping on a land mine or something. •The ballerina rose gracefully en pointe and extended one slender leg behind her, like a dog at a fire hydrant. •It was an American tradition, like fathers chasing kids around with power tools. •He was deeply in love. When she spoke, he thought he heard bells, as if she were a garbage truck backing up. •She was as easy as the TV Guide crossword. •She walked into my office like a centipede with 98 missing legs. •Her voice had that tense, grating quality, like a generation thermal paper fax machine that needed a band tightened. •It hurt the way your tongue hurts after you accidentally staple it to the wall. •The hailstones leaped from the pavement, just like maggots when you fry them in hot grease. I have to go get a tissue now. Have a lovely weekend, my beautiful darlings!